“It’s a conversation between God and this unborn child,” Garth Brooks told Robin Roberts on the set of Good Morning America. 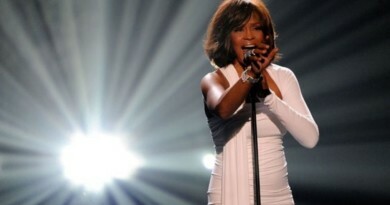 Of course he’s talking about one of the most powerful singles he’s issued to the charts in recent years, “Mom”. The poignant tune was the second single from his latest album, Man Against Machine, and is actually a cover (although Brooks admits he wishes he had written it). Originally, “Mom” was recorded by Welsh singer, Bonnie Tyler in 2013 after she heard it performed in Nashville’s Bluebird Cafe. Since his debut of the single, the song has inspired so many moms and brought tears to an endless number of people – including Garth. 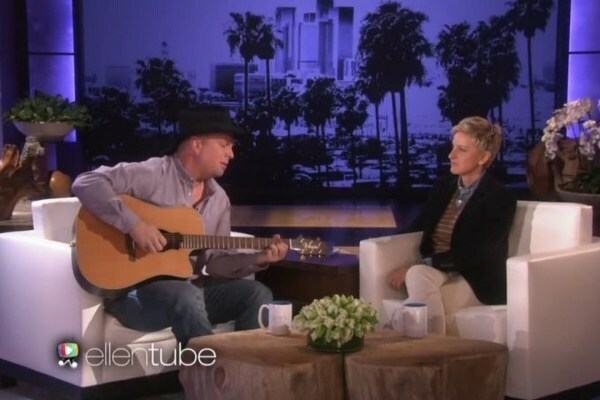 On the set of The Ellen Show, Garth was talking with Ellen and promoting his latest single when he took to the stage, sitting in a chair right next to the host, and began singing the track and playing a guitar. And with that Garth sings such a sweet rendition of the song that it not only waters Ellen’s eyes, but you can hear how he strains to continue through the song! ← What is a Mother’s love?